This EULA is a legal agreement between the customer and Wordfast LLC. 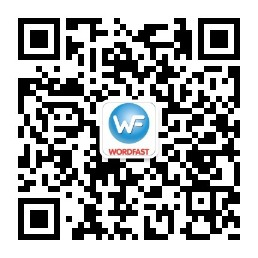 By purchasing Wordfast’s software products you agree to be bound by the terms and conditions herein. The software designates any paid software application produced by Wordfast LLC known as Wordfast Translation Studio™, Wordfast Classic™, Wordfast Pro™, and Wordfast Server™. - the right to re-license** Wordfast to keep it running for three years. * A new release means a new version of the Licensed Software which has substantial new functionality and which is designated by a change in the version number. ** If you format your hard disk, change your Operating System, or migrate to another computer, you might have to apply for re-licensing by logging into your user account at www.wordfast.net and/or contacting the hotline. This process is free for three years from the date of purchase, and can be repeated as needed to keep your installation of Wordfast running during those three years. Please see additional licensing instructions at https://www.wordfast.net/wiki/Licensing. The License Period shall commence upon purchase date of the software and shall continue for three years from date of purchase. To re-license Wordfast after the initial three-year period, the cost will be 50% of the list price of a full license; that renewed license will also be valid for an additional three years. Individual users have the right to run two installations of Wordfast with the purchase of one license. Corporations/companies/agencies can run only one installation of Wordfast at a given time per paid license, on a computer you own and use. Of course each of these installations can be re-licensed should the install number change during the licensing period. Support issues/inquiries are submitted via e-hotline which is accessed by logging into the Wordfast website. A Wordfast support representative will respond within 24 hours to the reported request via email. This service is provided free of charge for three years from date of purchase. Wordfast LLC offers a generous demo mode, which enables you to try the software on your system and make sure you are satisfied with it prior to purchase. As such, Wordfast licenses are non-refundable. Licenses cannot be sold or transferred to other persons or corporations. The user has sole responsibility for damages arising from the use or misuse of the software. Wordfast LLC remains the sole owner of the software. Wordfast shall not be liable under any theory at law, in equity or otherwise for any special, exemplary, punitive, incidental, indirect, or consequential damages (even if Wordfast has been advised of same), including without limitation lost profits or revenues. The entire liability of Wordfast for any claim, loss or damages under any theory at law, in equity or otherwise, including without limitation contract, tort, negligence and strict liability, arising out of this agreement or the engagement of Wordfast in connection with the project in question, the performance or breach hereof, or the subject matter hereof shall not in any event exceed the sum of the payments actually made by user to Wordfast pursuant to this agreement. Any action against Wordfast must be brought within one (1) year after the claim arose. The customer acknowledges and agrees that he/she has read and understands this EULA. This EULA is the entire agreement between Wordfast LLC and the customer and supersedes any prior or contemporaneous agreement or understanding, whether written or oral, and any other communications between Wordfast LLC and the customer relating to the subject matter of this EULA. Legal mentions Wordfast Translation Studio™, Wordfast Classic™,Wordfast Pro™, and Wordfast Server™ are registered trademarks of Wordfast LLC.